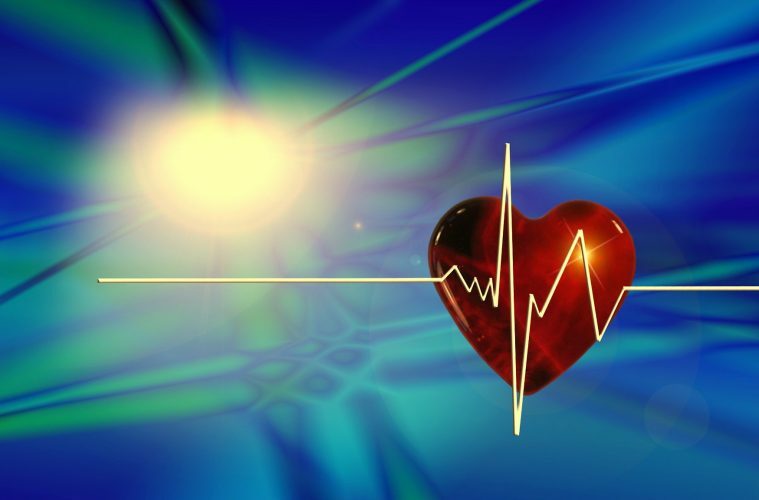 Throughout the ages, mankind has tuned music to a variety of frequencies, getting extra doses of tuning notes that massaged the sacral, solar plexus and heart chakras. Each tuning note helped mankind evolve. Of all of the chakras, the heart is the most powerful. Over eons, the other chakras were “shut down” to a greater degree as people became dense and individualized…seemingly separate from everything else (according to esoteric sources). The heart still connects us to our Higher Self, other realms and opens emotions such as compassion, forgiveness and love. 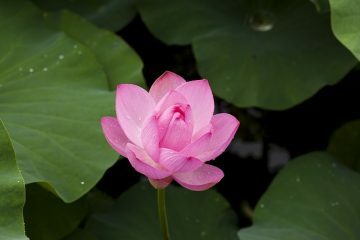 When we are calm, this chakra pierces and connects to higher dimensional information. The frequency of 432 hertz (Hz) massages the heart chakra with a warm and calming tone. The tuning and the calmness it creates opens the intuition. This frequency lightens the aura, adjusts emotional states, while inducing a calming and centering impact. The best testimony of why anyone should seek out these frequency is simply to listen and relax into this heart centering tone. The 432 tone is not readily available… it cannot be heard on our pianos, as this frequency is in-between our smallest interval of musical notes. 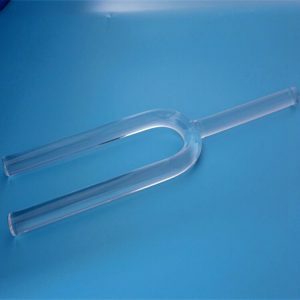 An instrument, such as a tuning fork, is required to hear this beneficial frequency. 432 Hz has a relaxing and deeply centering impact on the body. 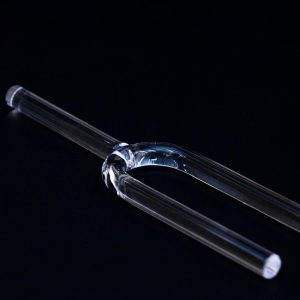 The 432 Hz tuning fork creates natural harmonics to resonate with the mind and body, allowing for a deeper and more nourishing experience. Think of the song Stairway to Heaven, which is written to include this frequency. The song stands apart from others and creates a deep calming experience. The world has accepted 440 Hz as the standard frequency for the musical note A, and not 432 Hz. (There can be hundreds of tiny variations in the speed of sound, in-between out smallest musical intervals.) The difference between A=440 Hz and A=432 Hz is only 8 hertz; it sounds slightly lower. However, music lovers claim that music tuned in A=432 Hz is more harmonious and induces an experience that is felt inside the body, especially at the spine and heart. Music tuned to A=440 Hz offers an outward and mental experience, and is felt on the side of the head and then projects outwards. Each frequency creates sympathetic resonance with thoughts, emotions and items in our physical bodies and worlds. Therefore, the frequencies used in our musical scales unconsciously dictate precise experiences for listeners. How much we receive of each frequency impacts us much more than we are consciously aware of. For example, the 440 Hz frequency create outward activity. (Every frequency serves a purpose.) The A=440 is like “aural caffeine.” This frequency produces an industrial spirit in people. Countries in the world become more industrious (literally) while listening to a musical scale with A=440. Those countries who used ancient scales (accessing calming frequencies), like India, advanced in spiritual and meditative practices in contrast. With the Internet, India now has a huge diet of aural caffeine via Western music and A=440 scales, while her industrial capacities have simultaneously expanded. Rudolph Steiner, a famous mystic, declared “Music based on C=128 Hz the (C note in a scale in which A=432Hz) will support humanity on its way towards spiritual freedom. The inner ear of the human being is built on C=128 Hz.” The 432 frequency is a serious awakening tool for the spiritual aspirant. Many energy healers use the 432 frequency for precise benefits. Meditating with 432 Hz music can be an extremely powerful and effortless way to reach a deep cleansing experience within your consciousness. Using a 432 tuning fork held above the head clears energy pathways, allowing finer and greater amounts of High Energy to enter the crown chakra. It is like “cleansing the information and energy coming into the body and distributing it throughout all energy fields of a person.” A deep healing occurs once the fork is struck and the base of it is placed on the heart chakra and slowly moved all the way up to the base of the throat. According to Egyptologists, archaic Egyptian instruments were usually tuned to A=432 Hz. They placed great importance on hearing this frequency. Further, the 432 number is used in the design and construction of sacred places, such as the Great Pyramid of Egypt. Special number energy was incorporated into sacred spaces to create powerful and transformative experiences for people in the temples. 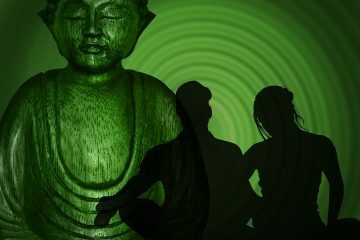 Why did many Ancient Masters value the frequency 432? In much of the ancient world, “Magical” sounds were numbers that resonated (exchanged energy) with frequency patterns found on Mother Earth and in the Heavens. A 432 frequency resonates and shares energy with anything close by that is also 432 Hz. Resonance or energy-exchange, also occurs to lesser degrees with harmonious musical intervals and harmonics (an after ripple pattern of sound). Musical intervals and harmonics are mathematical, and the “chain of resonance” can be figured out for any frequency. The Schuman Frequency is a healing frequency that mankind has grown accustomed to throughout millennia. This frequency is usually 7.96 to 8 Hz. In fact, it has been played for astronauts to keep them healthy in space. It is used for healing purposes. Its source is a global electromagnetic resonance originating from lightening within the Earth’s surface and the ionosphere. If 8Hz is the starting point, five octaves above is 256 Hz. 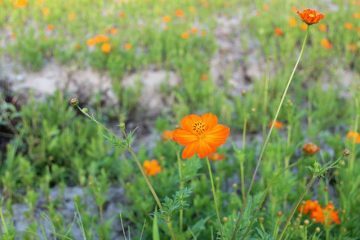 (Energy is shared through resonance in octaves.) When C=256 Hz, A=432. With this reasoning, some correlate 432 with healing resonances of the Earth. (Keep in mind that since the Schuman Resonance varies a bit, so does its “resonance mathematics”). Pythagoras said, “All is Number!” Just what does that mean? Everything is energy. Energy vibrates. Pulsations of energies can be counted and are called frequencies. Modern physicists’ String Theory is based simply on different vibrations of infinitesimal strings. With this thinking, “all is number” – expressed as different vibrating strings (or frequencies) and this creates our world. 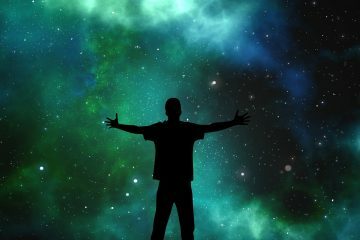 Ancient man strongly believed that numbers and mathematics found in nature and the heavens “tuned” us – to the Earth and the Heavens, empowering our awakening, and “quickening us” to be closer and closer to God. The 432 frequency is reflected in ratios of the sun, Earth and moon, as well as the procession of the equinoxes, Stonehenge, and the Sri Yantra, among many other sacred sites contain this number. For example, the sun is roughly 864,000 miles in diameter (432 X 2=864) and the diameter of the moon is 2,160 miles (432 / 2). Further, there are 864,000 seconds in a day. Many traditional schools of yoga teach that all living beings exhale and inhale 21,600 times per day. (21,600 X 2 = 43,200) There are 108 beads in a mala prayer necklace. (108 X 4 = 432). According to science, the optimal number of dimples on a golf ball is 432. Since pianos, flutes, clarinets, trumpets and most musical instruments are tuned to A=440, musicians must have these and other instruments remanufactured to incorporate this frequency. There are free software apps available, that digitally lower your music so that A=432. This is the easiest way to listen to a diet of this frequency. 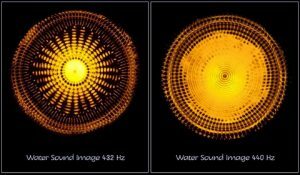 Below is a photo of cymatic images, created from the A=440 hertz, used in today’s music versus the 432 hertz pitch. Notice the balanced and beautiful shape created by the 432 frequency. Jill Mattson is a prolific Artist, Musician and Author. Jill is widely recognized expert and composer in the field of Sound Healing! She has produced nine CDs with intriguing, magical tracks using ancient & modern techniques, & special healing frequencies to achieve profound benefits. Jill is a four – time author. (The Lost Waves of Time – Best Book of 2016 and Best Alternative Science book of 2016, Deep Wave Body Healing CD– Best Sound Healing CD of 2016, Contacting Angels & Masters CD – Best CD of 2015 and Deep Wave Beauty CD – Best New Age CD – Silver Award). Jill has participating in many hundreds of teleseminars, radios shows, and magazines! She offers an online Sound Healing School. Jill presents new ways of approaching health and everyday issues using the benefits of sound! Free music & School of Sound Healing at www.jillswingsoflight.com.